And so it is that another Bafana Bafana attempt to qualify for a major tournament has ended in abject failure. If hosting the 2010 Fifa World Cup was supposed to provide a springboard for renewed success for South Africa’s national football team, all we have actually witnessed is one fairly hideous belly-flop after another. The fall of Bafana Bafana from any form of grace actually goes way back before 2010, a steady decline that one could claim to have started from the time Clive Barker’s side lifted the 1996 Africa Cup of Nations (though Bafana did at least get to the World Cup finals in 1998 and 2002). In respect for an absence of column inches, I am going to go from 2010, when Bafana suffered the ignominy of being the only host nation ever to fail to make it out of the group stages at a World Cup finals. Since then, Bafana have qualified for one major tournament, the 2015 Africa Cup of Nations (much like the 2010 World Cup, they only qualified for the 2013 Afcon because they hosted it). So you can blame the coaches, from Carlos Parreira to Pitso Mosimane to Gordon Igesund to Shakes Mashaba, to Stuart Baxter, but the problem here is clearly far more endemic. 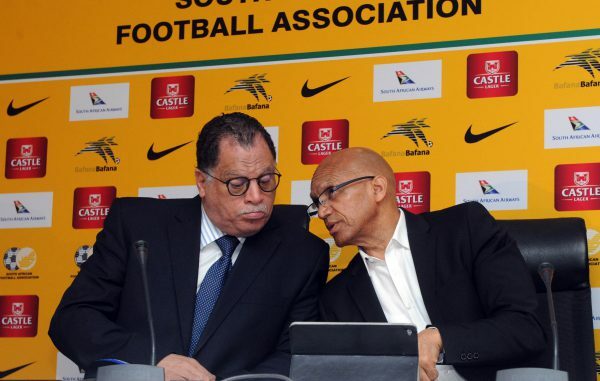 A lack of accountability in the South African Football Association has to be a factor, with the same leaders carrying on their merry way, regardless of constant disappointment. Safa do too often give the impression that they would battle to run a toaster, let alone the senior national team. There was the farce of not knowing the rules during qualification for the 2012 Africa Cup of Nations, the fiasco of not knowing what pitch they were playing on in a 2017 Africa Cup of Nations qualifier in Mauritania, and this weekend, the chaos of not being clear whether Andile Jali was suspended or available to play for his country. Other associations may appear shambolic in their preparations, but it does not necessarily impede their country from success on the field. Nigeria are a good example, seemingly going from one administrative crisis to another, but they have the players good enough to deliver them, more often than not, World Cup qualification. I so often hear claims that the talent is here in this country, but I am just not even remotely convinced that it is. Where, after all, are South Africa’s Sadio Manes, Victor Moses’, Mohamed Salahs? In a brief answer, they do not exist, and are showing little sign of emerging. The success of South Africa’s Premier Soccer League has in some ways been Bafana’s own worst enemy, with players at big local clubs on excellent salaries with little motivation to go and improve their game in top European leagues. Success in Africa for Sundowns and, of late, SuperSport United has been impressive but gone are the days when success in continental competition meant success for a national team. These days Africa’s top talent plays in Europe. And Bafana’s players in Europe are not even close to the top of that tree, for all the praise deserved for the efforts of the likes of Kamohelo Mokotjo, Andile Jali and Bongani Zungu. Right now, frankly, it is hard to see Bafana Bafana qualifying for another World Cup in my lifetime, let alone to see any clarity in Safa’s much-self-promoted Vision 2022.